Iknoor Technology Pvt. 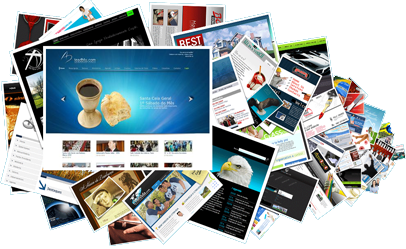 Ltd. is also involved in creating personal website designs that enable individuals to gain popularity on the web. Not only this; we also create interfaces for blogs, discussion groups and social networking sites. For professionals that want to promote their activities online; ITPL can help create the websites that can showcase their professional profiles. A personal website based on these principles can give you validity, reliability and an ability that can help to communicate your expertise and knowledge. Having a legitimate and appealing platform can give your business the “much needed” push! Thus we are a company that builds up a brand by spreading brand awareness amongst people. Catering to multiple genres, we are able to give the best that the clients demand all the time! A structured approach in web designing, coupled with strong project management and excellent web development form the hall mark of ITPL. We understand that design has got to do with not how it LOOKS but how it OPERATES, and therefore we make personal website designs to suggest the most effective ways of operating concepts and making individuals popular. ITPL has an understanding and appreciation of the needs of small and big time business individuals. Whether it is an expansive business enterprise, a small home based business with an online presence, or a blogger looking for a web presence, ITPL has a clear understanding of needs of all and can design and draft an online presence for the individual based on their requirements. The needs, though variegated, are all dealt with great efficacy, efficiency and consistent performance so that we are garnering not only a good design but an effective functionality that is able to take your web presence to another level. ITPL ensures for adept technical expertise to create a solid performance code and great design sensibilities to ensure that the look and the functionality, both work well. Thus a good balance with good performance become hall mark of ITPL’s Personal and Blog Website Designing.